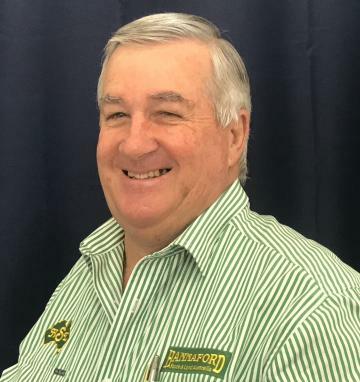 John is a fourth generation local returning to the local real estate and stock and station industry after a seven year hiatus, travelling, looking after grandchildren and doing some contract real estate business, both here and overseas. The aim of the new business is to keep it simple, in that service and local knowledge are our main priorities, with our clients always our focus. As part of a 3 lot subdivision this parcel of land fits neatly between the other two neighbours with an outstanding building site on the Northern side. It has a great outlook, gently sloping, and is close to village amenities. Big enough for a farm shed or stable. This well-designed brick and tile three-bedroom home features verandahs all round, timber floors and cedar blinds throughout , modern kitchen, four burner hotplate, oven, Smeg dishwasher, pantry, wood heater. It has orange orchard, 10 paddocks suited for rotational grazing of sheep, goats, cattle or horses. Dams and piped water to all if required. Water is a feature with a 22 megalitres licence from the Barrington River. Good size lock up farm shed with annex (12.5m x 12.5m), concrete floor, electricity, roller door both ends. This unique residential land is situated in the very sought after Barrington village only a short stroll away from the general store and primary school. The land is well set back from the main road with agricultural views to the North. All services, power, phone, electricity, water and sewerage are available to the front of the property. Access is gravelled to Council standards. The land is gently sloping with outstanding building sites available. Outstanding opportunity to obtain the ultimate property for beef production and recreation. Approx 150 acres of improved country at the front of the property with alluvial river flats, water troughs for intensive stock feeding and 54 meg irrigation licence. Fantastic bike or horse trails at the back of the property. The house features 2 complete living spaces ideal for 2 families. There is a 5 bay garage and workshop. A property with huge scope for diversity of income. Must be sold to wind up an Estate. Situated 12 km south of Gloucester this pasture improved property is undulating to flat and has excellent water supply. It has 12 dams, 2 sets of yards, 6 paddocks and good fencing. The 3 bedroom brick and colourbond house has tile floors, air con and a combustion heater. There are 6 water tanks to supply the house and yards. Shedding includes 10 x 20 m workshop, 11 m x 18 m machinery/hay shed, double carport and a smaller 3 bay shed. Carrying capacity 120 cows and calves year round. You'll want for nothing when you step inside this well appointed, spacious 5 bedroom family home. Complete with 5 bay shed, swimming pool, water tanks and established, low maintenance gardens. this house presents as a practical and extremely comfortable family home, is an entertainer's delight and offers a rare combination of practicality, luxury and self sufficiency all with views of the Bucketts mountains in a quality neighbourhood. Fantastic family home. Reluctant sale due to relocation. This beautiful old home has been kept in its era by the present owner with plumbing and electrical work completely renovated throughout. The outstanding features are the beautifully resurrected polished blue gum flooring, nine foot ceilings with ornate cornices and down lighting throughout. The position of this house is fantastic for living and / or accommodation and is only a hundred metres from the main street, supermarket, cafes and Hotel. Outstanding opportunity to take on a winning formula with all the infrastructure and business contacts set up and running. The property is situated on the beautiful Barrington River with stunning views, spectacular river frontage and pristine rainforests. This property is being offered with two possibilities – take over an existing, successful business or a 5 bedroom residence with 3 holiday units and agricultural return. It's up to you!! This lovingly renovated colonial style home is operating as a 9 room boutique motel. All 9 rooms have ensuites, air-con, built-in robes, TVs and ceiling fans. There is a modern communal kitchen dining/lounge area. The outdoor area has great views of the Bucketts and includes a salt water poo and outdoor kitchen/BBQ. Servicing the business is easy to manage while enjoying a relaxed lifestyle. This is an ideal opportunity to run your own, low stress boutique motel business. All the hard work is done - levelling and gravelling ready to go to work. This block presents as a clean canvas. Build an industrial business from the ground up. Easy to build on, great exposure to traffic flow on the Bucketts Way. Sewerage , water and power to the land. Vendor says sell !! A quality level industrial 3021 sqm block with security fencing. Power is already inside the perimeter on a stand alone power pole. Compressed gravel internal road allows for easy entry and exit via two gates. One 8 m x 5 m shed with sides enclosed and one 8 m x 5 m shed with lock up roller door. A great opportunity to purchase an already established block which allows for quick expansion. This block has a 30m x 12m. newly constructed shed with fully insulated roof (3 x 6m). The shed has top to bottom roller doors, 3 phase power, office, lunch room, toilet, shower. The office has been built to be expanded upward. 12,500 litre tank with pressure pump supplies most needs but the shed has also plumbed for mains access. Immediate area around shed is fully security fenced. The remainder of this block is unfenced, levelled and gravelled. This commercial property has a long established tenant with 18 months to run and five year option. There is a tenanted two bedroom residential unit above the shop. The building presents in quality condition with rear access for the upstairs residential tenant. Position in main street is excellent and is situated next to the local chemist shop with high pedestrian traffic. 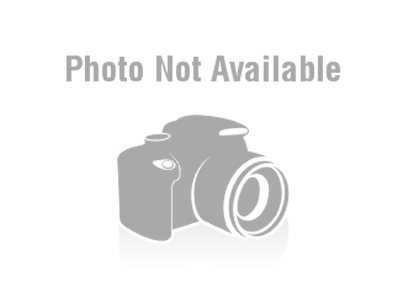 This shop has a long record of tenancy and is showing a quality return on capital for the present owner. This well-known Gloucester landmark property offers many opportunities for the savvy investor or commercial operator wanting room to grow. Situated on the junction of two main roads it offers outstanding traffic flow and road exposure. There is customer parking, large showroom / office area, spare parts area, one large work/storage area and four other work/storage areas. This long established gourmet café is held in high regard not only by the locals but by many of our passing tourists, with a large return customer clientele. Known as “the best coffee” in town, this business is situated in the middle of town attracting high traffic flow from breakfast to late afternoon coffees. The shop exudes a warm friendly ambience and many local artists hang their latest works. This three bedroom clad and solidly built home is situated on a large block. Timber floors throughout, some polished, some waiting to be. Large living/dining area with wood heater and air conditioning. Adjoining galley kitchen with plenty of storage. Large airy master bedroom with fan and large window, both other rooms will take double bed, no built ins. Shower and bath, laundry area. Carport and small workshop and garden shed. A well priced solid property to freshen up and live in or rent. This property with views over the Gloucester Valley, shows the benefit of a quality refurbishment. This beautifully presented 3/4 bedroom brick and tile home has ducted air-conditioning and fans, a large main bedroom with ensuite and built-in cupboards in all bedrooms. The carpeted formal lounge, tiled living area and bamboo floors in the modern kitchen make for easy upkeep. There is a covered outdoor entertainment area, large double lock up garage with remote control roller doors and internal entry to house. GREAT POSITION & SPOTLESS PRESENTATION. This ground floor two-bedroom unit presents in immaculate condition with high quality fittings and fixtures and is situated easy walking distance from the main street. The living areas are carpeted and the dining / kitchen lino and has ducted air con. Features include granite kitchen benches, double sinks, in cupboard laundry with dryer and washer. There is internal access to the garage from the loungeroom. The bedrooms are big with plenty of storage and the bathroom is fully tiled with aged care friendly shower and toilet. A unique property set on the side of the Barnard River approximately half an hour from town. There is onsite van with timber annexe, back deck and separate flushing toilet with hower module, adds a bit of “glamp” to the conditions set up as a weekender. The land has a building entitlement with huge potential for huts and tourism. This property is a great example of an original timber workers cottage, associated with the town’s history, meticulously maintained by the present owner and presenting in excellent condition with nothing to do. All freshly painted in neutral colours with new floor coverings and quality fittings throughout. Three bedrooms, main with built in, dining room, kitchen older style in excellent condition, bath, shower and vanity. Lounge room at rear of house with laundry and toilet. Lock up garden shed, large 7.8 m x 8.9 m lock up car /clear span machinery shed at rear with two large roller doors, cement floor and power. This property has well-constructed rear lane entrance to large shed and yard. A sensibly priced property with little to spend. A well positioned 3br. brick and tile home with outstanding views of the Bucketts Mountains. The house features large block with dog proof yard and garden beds, all electric kitchen with plenty of storage, dining area part of kitchen with serving bench in between, lounge area carpeted, oil heater and ceiling fan, bathroom with shower, toilet, bath and vanity and a 2nd toilet in laundry. There is a double car garage - one with remote control roller door and internal entry. Newly renovated older style 4-bedroom home near the primary school in a quiet area of town. Air conditioned loungeroom. Freshly painted and new carpet throughout. Easy to maintain gardens. This delightful, fully furnished 2 bedroom home set in a peaceful valley is available for rent in the new year. This home would ideally suit a professional or retired couple or someone looking for the peace and quiet of rural living. It has a wood heater, landline telephone, is air-conditioned, has blinds and/or curtains on all windows and has built-ins in both bedrooms. Situated 15 minutes from town this home is available for $230 per week. This property presents in excellent condition and is situated at the southern end of the CBD with easy access and good exposure for the commercial tenant. There is currently a quality commercial Tenant operating as a denture clinic giving a good return. This property has outstanding views of the Bucketts mountains from the back verandah with a good sized, fully enclosed back yard. Lock up garage with workbench for vehicle security. This Property presents as an outstanding investment opportunity, with a huge scope for further growth. With some renovations to the upstairs two-bedroom unit, optimising both commercial and residential tenancies. The upstairs flat has two bedrooms, bathroom, kitchen, living room, air conditioning and separate access. The ground floor of this building is currently tenanted with a quality long term tenant who operates the successful Roadies café, well known to motor cyclists, tourists and locals alike. This building presents as an excellent investment with solid returns.